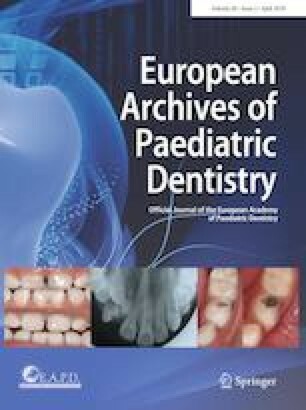 Taking over the editorship of the European Archivers of Paediatric Dentistry, I would like to thank the President and the Board of EAPD and the Springer Publisher for entrusting me this mission. It is a great responsibility but also a unique challenge to succeed the previous Editors, Professors Martin Curzon and Jack Toumba. They both have managed to reach high scientific standards for the journal, well regarded internationally. It might be almost impossible to follow their achievements, but I’ll do my outmost to continue their work. I am very fortunate being able to work very closely with them for the journal over all these years. The year 2019 begins with some changes for ‘The European Archives of Paediatric Dentistry’ (EAPD). A new editorial board is on board and I would like to thank all of them for their support to the Journal and the Academy. These colleagues together with the new Editorial Advisors and the Editorial Assistants will help us to maintain and further enhance the high standards of the Journal. It has also been decided to abandon ‘case reports’ from the journal and instead consider for publication only ‘case series reports/studies with the relevant critical review of the subject’. Finally, the list of our reviewers has been enriched with new and younger colleagues that I would like to thank them all for their hard and precise work. As minimum appreciation of their contribution, a special certificate has been designed for them to be sent by the end of each year. As the journal is the Academy’s scientific strength, we will continue to encourage everyone to submit top-quality papers. Special attention will be given to young colleagues to take an active part in research and publish their work in the journal. Encourage senior colleagues to publish invited reviews on subjects related to their field of expertise, enhancing this way the scientific base of our specialty. Achieve the impact factor that the journal deserves, a visible target that our scientific community supports and wishes. Finally, it could be impossible as the editor in chief to fulfil these targets, if I would not be able to rely on the help of the EAPD Board, our European and International colleagues from our and other specialties, the Publishers, and finally on our readers, whose input is always extremely valuable. Many changes have taken place for the journal’s improvement in the past and further changes will take place as we continue to develop. I wish all these changes to help the European Academy of Paediatric Dentistry and our profession that are both steadily developing for the benefit of our children's health.